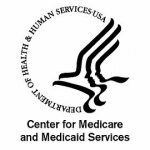 CMS issued a final Medicare Part D Rule and Part D Call Letter for CY 2019 late yesterday afternoon. Please click here to read the fact sheet on the 2019 Rate Announcement and Final Call letter and please click here to read the Final Rule (CMS-4182-F) Fact sheet. The final Medicare Part D rule should expand access to more affordable drugs, and the agency outlined new limits on opioids. The moves on drug costs should reduce cost-sharing for some patients and might provide some savings for taxpayers, but they won’t directly affect the prices drug companies charge. The final rule for the 2019 Medicare prescription drug program requires plans to have lower maximum co-payments for biosimilar drugs for patients who receive low-income subsidies. The rule also lets Part D plans immediately substitute newly released generics for brand-name drugs at the same or lower cost-sharing if they come on the market during the plan year. The rule also finalizes a policy that would let patients receive drugs at whichever pharmacy they prefer. The final Part D call letter, which includes a number of new policies aimed at tackling the opioid epidemic. Health plans will be required to limit initial opioid prescriptions for acute pain to a maximum seven-day supply. The proposed rule In November included a Request for Information soliciting comment on potential policy approaches for applying some manufacturer rebates and all pharmacy price concessions to the price of a drug at the point of sale. While the Trump administration has cheered recent decisions by some national insurers to share savings directly with patients, CMS will not mandate that insurance plans share a percentage of the rebates they negotiate with drug companies directly with patients purchasing the drug at this time, but rather will use the ideas and comments provided in the RFI to evaluate and consider proposals for future rulemaking. Our Government Relations team is currently reading through the 1156 pages of the final rule and the 250 pages of the call letter and preparing a detailed summary of the changes and implications to specialty pharmacy that we will share with you in the next few days. The National Association of Specialty Pharmacy offered its support of a letter sent to congressional leaders on Friday, February 2nd calling on lawmakers to pass a Medicare package to restore funding for expired Medicare programs. Congress’ inaction on these important Medicare policies could mean real harm to the vulnerable patients we serve. Fifty health care groups offered their support of the letter urging the bipartisan bills previously pushed forward by both the House and Senate to be including in a funding package ideally in the continuing resolution currently being negotiated. The current CR runs through February 8th. NASP represents an industry that focuses on providing high quality patient care first with additional emphasis on clinical outcomes and patient choice. NASP believes that it shares these common goals with the Centers for Medicare & Medicaid Services (CMS) and looks forward to partnering with CMS and all governmental agencies to ensure that all patients have access to the medications they need from the pharmacy of their choosing. In furtherance of these shared goals, NASP has submitted the following comments in response to the Centers for Medicare & Medicaid Services’ (CMS) Proposed Rule entitled, “Medicare Program; Contract Year 2019 Policy and Technical Changes to the Medicare Advantage, Medicare Cost Plan, Medicare Fee-for-Service, the Medicare Prescription Drug Benefit Programs and the PACE Program” (Proposed Rule). Consider pharmacy reimbursement in totality when moving pharmacy price concessions to the calculation of negotiated price, effective CY 2019. Codify and enforce that unreasonably low reimbursement rates, when offered in an initial network contract, occurring as a result of mid-year rate changes and/or after rebates/concessions are factored in to the final reimbursement rate subverts the convenient access standards. Finalize its proposals to the Any Willing Pharmacy (AWP) changes while providing greater clarity on how the agency plans to enforce these changes. Survey specialty pharmacies as part of the agency’s efforts to gain a better understanding of the quality of care being provided under the Medicare Part D program. Please click here to review our comments in their entirety. NASP represents an industry that focuses on providing high quality patient care first with an added emphasis on outcomes and patient choice. NASP believes that it shares these common goals with the Federal Trade Commission (FTC) and looks forward to partnering with the all governmental agencies to ensure that all patients have access to the medications they need from the pharmacy of their choosing. In furtherance of these shared goals, NASP has submitted the following comments in response to the FTC’s Understanding Competition in Prescription Drug Markets: Entry and Supply Chain Dynamics Workshop. WASHINGTON, D.C. (November 16, 2017) – President Trump’s new nominee for Health and Human Services (HHS) Secretary, Alex Azar, served as the keynote speaker for the National Association of Specialty Pharmacy (NASP) annual meeting in Washington, DC this fall. There, the healthcare veteran provided nearly 1,200 specialty pharmacy professionals with an engaging discussion around developments in the specialty pharmacy ecosystem, including the evolution of the market, impact of specialty pharmacy on patients, and national legislative and regulatory policy. “We were inspired by Alex Azar’s keynote address at NASP’s annual meeting this fall. While serving as Eli Lilly’s US chief, Azar was responsible for the product launch of Taltz, and a driving force behind the company’s commitment to advancing research to address the unmet needs of people living with dermatologic diseases. He understands the critical role that specialty pharmacy plays for the millions of Americans suffering from some of the most devastating and complex diseases, and who depend on specialty pharmacists to deliver knowledgeable, skilled and caring services to help them manage their sickness. “Going beyond dispensing medications to help patients manage challenging and complex diseases, specialty pharmacies provide unparalleled patient support services to help sick patients follow the medical treatment prescribed by their doctors, which has been proven to lower overall healthcare costs by improving outcomes through better compliance and disease management. “If his nomination is approved, we hope Azar will use his platform as HHS Secretary to shine a much-needed spotlight on big PBMs and require transparency across the health care delivery system so we can work together to finally contain runaway prescription medication costs for sick Americans who need it the most. “Particularly, we hope Azar will address Direct and Indirect Remuneration (DIR) fees, Any Willing Pharmacy Provisions that are neither reasonable nor relevant, and the absence of Medicare Part D minimum network adequacy standards for specialty pharmacies. These efforts will re-focus the benefits of the Medicare Part D program on the beneficiaries the program was designed to protect and away from the first-tier entities contracted to administer the program. According to a new analysis by the Kaiser Family Foundation, 1 million Medicare beneficiaries had out-of-pocket drug spending above the Part D catastrophic threshold in 2015. These 1 million enrollees spent an average of over $3,000 per person out-of-pocket on prescriptions, $1,215 of which was above the catastrophic threshold. Unfortunately, the number with such high spending has risen sharply in recent years. Federal investigators in Washington have begun examining the issue, as well. In September, U.S. HHS Office of Inspector General (OIG), whose job is to investigate areas where they believe fraud and abuse may be occurring, announced it is investigating “Part D sponsors reporting of DIR.” Meanwhile, in the absence of legislative action in Washington, states across the country have been trying to pass legislation to require more transparency from PBMs. National Association for Specialty Pharmacy (NASP) | NASP represents over 50 healthcare industry leaders, working on behalf of retail and specialty pharmacies, drug distributors and hospital systems on legislative and regulatory efforts for the association, which has 250 member pharmacies. To spotlight the increasingly negative consequences of DIR fees, NASP launched StopDIRfees.com with information and testimonials on how big PBMs impose DIR fees to rig the Medicare system. The site also features an online petition and contact information for constituents to call or write elected officials, urging them to stop DIR fees. NASP was founded in 2012 and is the only national trade association that represents specialty pharmacy, serving as the leading educational resource and national advocate for specialty pharmacy healthcare professionals and patients alike. In addition to providing medications to severely ill patients, specialty pharmacy also features support programs and services to ensure patients maximize the benefit from their medication, therapies and services, working to ease the treatment burden for patients, families and caregivers as they work to manage these tough conditions. Washington, D.C. (Oct. 26) — A myriad of stakeholders across the health care industry, including the National Association of Specialty Pharmacy (NASP), joined together to send a letter to U.S. President Donald Trump, encouraging him to appoint Rep. Earl L. “Buddy” Carter (GA-1) to any commission formed to address the cost of lifesaving prescription medications in the U.S. According to IMS Health data, drug spending continues to shift from traditional to specialty medicines, with specialty share of net spending increasing from 23.6% in 2007 to 42.9% in 2016. Specialty pharmacy provides medications to treat patients with serious, chronic, rare, progressive, or debilitating or fatal if left untreated or undertreated. Examples of these illnesses include cancer, hepatitis C, infectious disease, infertility, Crohn’s disease, rheumatoid arthritis, psoriasis, HIV/AIDS, multiple sclerosis, Cystic Fibrosis, human growth hormone deficiencies, organ transplantation, hemophilia, and other bleeding disorders. Rep. Carter sits on the House Energy and Commerce Health Subcommittee. Previously, he led multiple investigations into prescription drug pricing issues from his post on the House Committee on Oversight and Government Reform. Prior to joining Congress, Rep. Carter served in the Georgia General Assembly, leading health care public policy for the state. He sponsored legislation to create the state’s prescription drug monitoring program, helped usher through landmark tort reform, and served on a certificate of need taskforce. NASP represents over 50 healthcare industry leaders, working on behalf of retail and specialty pharmacies, drug distributors, and hospital systems on legislative and regulatory efforts for the association, which has 250 member pharmacies. Founded in 2012, NASP is the only national trade association representing all stakeholders in the specialty pharmacy industry. The core mission of NASP is to provide educational programs to pharmacists and other healthcare professionals, and to promote specialty pharmacist certification for specialty pharmacy professionals. NASP also serves as an advocate for public policies that ensure patients have appropriate access to specialty medications in tandem with critical services. In addition to providing medications to severely ill patients, specialty pharmacy also focuses on support programs and services to ensure patients realize the maximum clinical benefit from their medication, therapies and services, working to ease the treatment burden for patients, families and caregivers as they work to manage these tough conditions. For more information, visit http://www.naspnet.org/. 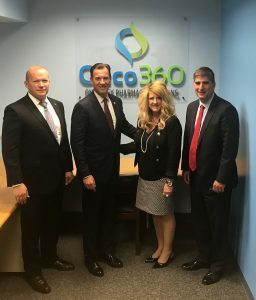 New York (Oct. 19) – Today, Rep. Tom Suozzi (D – Long Island, Queens) met with health care experts and members of the National Association of Specialty Pharmacy (NASP) at Onco360, where he toured the independent specialty pharmacy and visited with constituents from New York’s 3rd Congressional District in Great Neck, Long Island. Rep. Suozzi, Vice-Chair of the bipartisan “Problem Solvers Caucus,” was one of 54 members of Congress to cosign a bipartisan letter to the U.S. Department of Health and Human Services (HHS) and the Centers for Medicare and Medicaid Services (CMS), strongly urging Acting HHS Secretary Don Wright and CMS Administrator Seema Verma to ensure rebates and discounts in Medicare Part D help contain skyrocketing out-of-pocket costs for patients. The letter also advocates to ensure patient and prescriber access to the specialty pharmacy of their choice, instead of limited access resulting from the application of DIR fees that are tied to inapplicable performance metrics, aligning with the Medicare Part D Star Rating measures rather than the disease being treated by the prescribed specialty drug. According to IMS Health data, drug spending continues to shift from traditional to specialty medicines, with specialty share of net spending increasing from 23.6% in 2007 to 42.9% in 2016. Specialty medications are used to treat patients with serious, chronic, rare, progressive, or debilitating or fatal if left untreated or undertreated. Examples of these illnesses include cancer, hepatitis C, infectious disease, infertility, Crohn’s disease, rheumatoid arthritis, psoriasis, HIV/AIDS, multiple sclerosis, Cystic Fibrosis, organ transplantation, human growth hormone deficiencies, hemophilia, and other bleeding disorders. NASP represents over 50 healthcare industry leaders, working on behalf of retail and specialty pharmacies, drug distributors and hospital systems on legislative and regulatory efforts for the association, which has 250 member pharmacies like Onco360. A recent paper published in JAMA Internal Medicine finds that, due to the structure of the Medicare Part D benefit design, rebates and remunerations – including Direct and Indirect Remuneration (DIR) fees – actually increase patients’ out of pocket costs. To spotlight the increasingly negative consequences of DIR fees, NASP launched StopDIRfees.com with information and testimonials on how big PBMs impose DIR fees to rig the Medicare system. The site also features an online petition and contact information for constituents to call or write elected officials, urging them to stop DIR fees. NASP was founded in 2012 and is the only national trade association representing all stakeholders in the specialty pharmacy industry. The core mission of NASP is to provide educational programs to pharmacists and other healthcare professionals, and to promote specialty pharmacist certification for specialty pharmacy professionals. NASP also serves as an advocate for public policies that ensure patients have appropriate access to specialty medications in tandem with critical services. In addition to providing medications to severely ill patients, specialty pharmacy also focuses on support programs and services to ensure patients realize the maximum clinical benefit from their medication, therapies and services, working to ease the treatment burden for patients, families and caregivers as they work to manage these tough conditions. For more information, visit www.naspnet.org. Please click here for the final signed copy of the letter Rep. Buddy Carter championed and sent to HHS and CMS. Despite the strong opposition it generated from the Pharmaceutical Care Management Association (PCMA), Blue Cross Blue Shield Association, and newly the Citizens Against Government Waste, 54 Members of Congress signed the letter in support of ensuring rebates and discounts in Medicare Part D help reduce patient out-of-pocket costs and patient access to specialty pharmacies is not limited by the use of inapplicable Star Rating measures. We sincerely thank Rep. Carter and his Congressional colleagues, the Community Oncology Alliance (COA), Managed Health Care Associates (MHA), select state pharmacy associations and PhRMA in addition to NASP members for their strong support of this very important initiative! “The Pharmaceutical Care Management Association (PCMA) recently commissioned a report about direct and indirect remuneration (DIR) fees, which speculated on how they may be beneficial to the federal government. The answer is simple: DIR fees collected from specialty pharmacies are neither beneficial to the taxpayer-funded Medicare Part D program, nor to the sick seniors enrolled in the vital safety net program. While the report sought to address both DIR received from manufacturers (e.g., rebates) and DIR fees collected from pharmacies after the point-of-sale (POS), the report acknowledged that the overwhelming majority of all DIR (and alleged savings to Medicare) related to manufacturer rebates. Yet, DIR fees assessed against specialty pharmacies by big PBMs continue to inflate prescription drug costs for the sickest, most vulnerable seniors – the very patients the Medicare Part D program was designed to protect. Simultaneously, DIR fees threaten the specialty pharmacies that serve the unique needs of patients living with complex, life-altering, and often life-threatening diseases. A recent JAMA paper showed that the structure of the Medicare Part D benefit design, rebates and remunerations – including DIR fees – actually increase patients’ out of pocket costs. In fact, Dr. Peter Bach – director of Memorial Sloan Kettering Cancer Center’s Center for Health Policy and Outcomes, and a co-author of the JAMA paper – calls current Medicare system “absolutely devastating for people on high-cost specialty drugs.” Even PCMA’s report conceded that DIR fees do not directly reduce Medicare beneficiary cost sharing at the POS. Instead, through complex financial engineering, PBMs increase front-end reimbursement, and therefore patient out-of-pocket costs, only to then take DIR fees back on the back end. As a result, these egregious fees force sick and vulnerable seniors to pay more up front than they should. This runs contrary to the intent and purpose of Medicare’s prescription drug program. DIR fees impact out-of-pocket costs for sick seniors, and for Medicare beneficiaries being treated with a specialty drug, the impact is even more profound. That’s because DIR fees push sick seniors into the donut hole faster, where patients are responsible for covering a much greater percentage of their prescription medication costs. Then, when sick seniors pass through the donut hole to the catstrophic coverage phase of the Part D benefit, the taxpayer-funded Medicare program pays a much higher percentage of the overall cost of care. With nearly 41 million Medicare beneficiaries are enrolled in Medicare Part D plans, it’s putting a huge burden on Medicare in terms of costs for the program and costs to American taxpayers. That’s why we’re advocating to keep the point-of-sale negotiated drug prices as transparent as possible, so sick seniors can choose between one drug versus another based on the understanding of the actual out-of-pocket cost to them, in addition to the Medicare program. Currently, big PBMs are misusing DIR fee provisions. Due to a supreme lack of transparency, we question the intent and benefit of this financial engineering, especially since drug costs keep increasing for sick seniors at the point of sale, in addition to negatively impacting specialty pharmacy’s ability to continue to provide the highest level of patient care services to one of the most vulnerable patient populations. This is just another in a long line of studies paid for by pharmacy benefit managers, attempting to validate monopolistic and opaque practices of charging specialty and independent pharmacies with capricious fees, months after the point of sale, and over which specialty pharmacies have little to no control. Unfortunately for the PBMs, even this study does not support their argument. The report admits the difficulty in measuring performance, particularly in the specialty space. This is not surprising, as the performance measures currently being used do not apply to the drugs dispensed by specialty pharmacy, nor the patients or diseases that they manage. This is having hugely disproportionate and negative impact on the ability of accredited specialty pharmacies to continue to serve seniors, and it needs to stop. Specialty pharmacies and the sick seniors we treat need PBMs to demonstrate, in a way that is much more transparent, how they calculate reimbursement for specialty services and care. Increasing transparency within big PBMs would benefit the industry and the patients we serve, helping us to finally institute clear metrics and incentives that would be aligned with the services and patient outcomes that specialty pharmacy provides, and which also align with the foundational goals of the Medicare Part D program: quality, cost effectiveness, and patient satisfaction. Specialty Pharmacy | Specialty pharmacy provides medications to treat patients with serious, chronic, rare, progressive, or debilitating or fatal if left untreated or undertreated. According to the Drug Channels Institute and other sources, specialty pharmacy drugs will represent 44% of the U.S. drug spend by the year 2020. Examples of illnesses that require specialty medications include cancer, hepatitis C, infectious disease, infertility, Crohn’s disease, rheumatoid arthritis, psoriasis, HIV/AIDS, multiple sclerosis, Cystic Fibrosis, organ transplantation, human growth hormone deficiencies, hemophilia, and other bleeding disorders. Direct and Indirect Remuneration (DIR) fees | One of the chief challenges facing the industry right now is: how to help CMS and Congress stop big PBMs from imposing unfair and opaque DIR fees that increase prescription drug costs for seniors and crush specialty pharmacy’s ability to provide the care that sick seniors need. DIR fees are increasingly egregious and impose negative consequences by inflating prescription drug costs for the sickest, most vulnerable seniors – the very patients the Medicare Part D program was designed to protect. Not only that, DIR fees threaten the specialty pharmacies that serve the unique needs of patients living with complex, life-altering, and often life-threatening diseases. National Association for Specialty Pharmacy (NASP) | NASP was founded in 2012 and is the only national trade association that represents specialty pharmacy, serving as the leading educational resource and national advocate for specialty pharmacy healthcare professionals and patients alike. In addition to providing medications to severely ill patients, specialty pharmacy also features support programs and services to ensure patients maximize the benefit from their medication, therapies and services, working to ease the treatment burden for patients, families and caregivers as they work to manage these tough conditions. NASP will convene its fifth annual conference from Sept. 18 to Sept. 20 in Washington, D.C., kicking off with a keynote speech from healthcare veteran and former Lilly USA President Alex Azar, followed by two days of thought-provoking discussions on the state of specialty pharmacy (full agenda here; RSVP to nasp@skdknick.com). ALEXANDRIA, VA (June 19, 2017) – The National Association of Specialty Pharmacy (NASP) applauds the Centers for Medicare & Medicaid Services (CMS) for enhancing the oversight of large Pharmacy Benefit Managers (PBMs), as they are misusing Medicare’s Direct and Indirect Remuneration (DIR) fee provisions to drive up profits, despite dangerous consequences for sick seniors and the specialty pharmacies that serve the population’s unique healthcare needs. Last month, CMS announced its proposed 2016 reporting requirements for DIR fees, which refer to retroactive fees levied by PBMs on pharmacies on the sale of prescription drugs. They were originally conceived to ensure accountability in Medicare Part D prescription drug program for seniors. Yet, over the past few years, PBMs have expanded the types of fees that they argue fall under the umbrella of “DIR,” including pay-to-play network fees and patient adherence fees. Using new regulations, CMS can determine how DIR fees are impacting seniors and resolve whether these fees provide any savings to the Part D program or health benefits to seniors. Specialty pharmacies across the country report that DIR fees hurt seniors financially and clinically, as the extra costs driven by PBMs make it more difficult for seniors to follow prescription medication treatment plans, as directed by their doctors. The out-of-control engineering of financial models to levy DIR fees on specialty pharmacies limits seniors’ access to clinical support when these inappropriately applied costs push pharmacies out of the Medicare market. These fees reduce the ability of specialty pharmacies to deliver the high-touch, white-glove, and comprehensive care that these patients require and deserve. CMS is expected to issue final reporting requirements later this year. NASP was founded in 2012 and is the only national trade association that represents specialty pharmacy, serving as the leading educational resource and national advocate for specialty pharmacy healthcare professionals and patients alike. Specialty pharmacy provides important medications to patients with conditions including cancer, hepatitis C, infectious disease, infertility, Crohn’s disease, rheumatoid arthritis, psoriasis, HIV/AIDS, multiple sclerosis, and cystic fibrosis. Additionally, specialty pharmacy features support programs and services to ensure patients receive the most benefit from their medication, therapies and services, working to make it easier for patients and families to manage these tough conditions. The core mission of NASP is to elevate the practice of specialty pharmacy by developing and promoting continuing professional education and certification of specialty pharmacists while advocating for public policies that ensure patients have appropriate access to specialty medications in tandem with critical services. NASP members include specialty pharmacies, integrated health systems, pharmaceutical and biotechnology manufacturers, healthcare payers, GPOs, wholesale drug distributors, and technology and other vendors. To learn more, please visit naspnet.org. NASP represents an industry that focuses on providing quality patient care first with an added emphasis on outcomes and patient choice. NASP believes that it shares these common goals with CMS and looks forward to partnering with the agency to ensure that all Medicare beneficiaries receive high quality cost effective care from their specialty pharmacy. In furtherance of these shared goals, NASP has submitted the following comments related to CMS’ Proposed Guidance related to CMS’ Proposed Medicare Part D DIR Reporting Requirements for 2016. 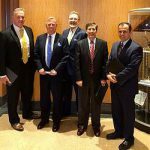 On behalf of National Association of Specialty Pharmacy, the Executive Board commissioned a white paper (Performance” Based DIR Fees: A Rigged System with Disparate Effect on Specialty Pharmacies, Medicare Part D Beneficiaries and the U.S. Healthcare System), authored by the law firm, Frier Levitt, LLC. We write to you to make you aware of the enclosed white paper and forthcoming press release. Please review the document in detail to better understand the background and implications of DIR fees. The white paper focuses on percentage-based DIR fees which are often shrouded by PBMs under the aegis of “performance.” However, as the white paper demonstrates, the performance metrics used by PBMs are wholly inapplicable to the unique and high-touch services provided by specialty pharmacies, leaving them no meaningful opportunity to actually influence the performance scores being assessed against them. Instead, these DIR fees do nothing to improve performance for specialty pharmacy patients served by Medicare Part D and Medicare Advantage pharmacy networks, and amount to nothing more than an “after-the-fact” surcharge on providers, often putting them grossly underwater on high-priced specialty medications and threatening their ability to continue to provide life-saving services to support Medicare beneficiaries with diseases treated by specialty medications. We understand that you may receive questions from your colleagues and from media. Please forward all media inquiries to Sheila Arquette at (703) 842-0122 or sarquette@NASPnet.org. NASP represents an industry that focuses on providing quality patient care first with an added emphasis on outcomes and patient choice. NASP believes that it shares these common goals with CMS and looks forward to partnering with the agency to ensure that all Medicare beneficiaries receive high quality cost effective care from their specialty pharmacy. Through this lens, NASP has submitted our comments related to CMS’ draft 2018 Call Letter. The report validates the position of many industry experts that these fees, levied by pharmacy benefit managers and Part D plan sponsors, are ineffective and harmful. Washington, D.C. January 23, 2017 – Phoenix, AZ – The National Association of Specialty Pharmacies (NASP) has just announced its perspective on a recently-released report about DIR from CMS, praising the report for its transparency in showcasing how these fees are growing while driving unintended consequences. The concept of “direct and indirect remuneration” or “DIR” was originally intended to help plan sponsors and the Medicare program share in the savings derived from drug rebates paid out by drug manufacturers to pharmacy benefits managers. However, the concept of DIR has been morphed by PBMs to include DIR fees, which have evolved into an overly-broad term for a variety of different fees extracted from pharmacies participating in Medicare Part D, including those which are performance-based. Many experts say that these fees are misleading, confusing and unfair, negatively impacting not only pharmacies, but ultimately the entire healthcare industry and patients themselves. It risks depriving patients of willing providers and providers of appropriate value for their services. While passing no judgment on the propriety of DIR and DIR fees, the CMS report on DIR and DIR fees shows that there is a growing disparity between gross Part D drug costs at the point of sale and net Part D drug costs, which account for DIR and DIR fees. CMS also observed that the total of DIR revenue grew approximately 22 percent per year and that per member per month DIR revenue grew nearly 14 percent between 2010 and 2015. This data supports NASP’s position that DIR – including PBM-imposed DIR fees – are not being applied as originally intended and are having a significantly negative impact not just on pharmacy revenue, but the overall costs to beneficiaries and the Medicare program as a whole. As concluded by the CMS report, higher percentages of DIR ultimately shift financial liability from PBMs and Part D plan sponsors to beneficiaries and the Medicare program in the form of higher cost-sharing obligations and increased catastrophic care liability. NASP has previously indicated its concerns regarding DIR fees, stating that the way these fees are being calculated is not aligned with the original CMS program or congressional intent. The organization is currently working with its members and industry stakeholders to develop recommendations for a more appropriate DIR fee structure and metrics related to Specialty Pharmacy. Performance metrics currently used to calculate DIR fees have no relevance to specialty pharmacies, essentially penalizing specialty pharmacies for performance not even part of their service models. NASP has been actively engaged in educating lawmakers and CMS over the past 18 months about the threat these DIR fees in their current application pose to specialty pharmacy, Medicare beneficiaries and the Medicare Part D program, NASP is committed to working with its members, industry stakeholders and CMS to develop a comprehensive solution which includes a more appropriate DIR fee structure and metrics specific to specialty drug performance. NASP (www.naspnet.org) is the only national association for all stakeholders in the specialty pharmacy industry. 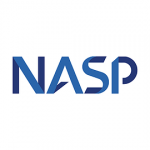 The core mission of NASP is to provide continuing education programs to pharmacists and other healthcare professionals working in specialty pharmacy, a growing pharmacy discipline that dispenses and manages specialized medications for chronic, rare, and/or complex conditions. NASP members include specialty pharmacies, integrated health systems, pharmaceutical and biotechnology manufacturers, healthcare payers, GPOs, wholesale drug distributors, and technology and other vendors. To learn more, please visit: www.naspnet.org. On March 4, NASP wrote a letter to CMS Deputy Administrator & Director Sean Cavanaugh regarding the Methodological Changes for 2017 for Medicare Advantage (MA) Capitation Rates, Part C and Part D Payment Policies. NASP also provided definitions of specialty pharmacy and offered comments about the Call Letter. NASP comments on the organization’s concerns over the CMS proposed plan. NASP provides a point-by-point summary of comments made on the 2017 CMS Call Letter and the agency’s response. On April 6, 2015 CMS issued the final payment rates and policy changes to Medicare Advantage and Prescription Drug Plans for 2016. On average, the expected revenue change is an increase of 3.25 percent. CMS released the proposed Advance Notice and Draft Call letter on Friday February 20 2015 and accepted comments through Friday, March 6. CMS states in its press release that Medicare Advantage (MA) enrollment has increased 42 percent since the ACA was passed with more than 16 million beneficiaries enrolled, which represents approximately 30 percent of the overall Medicare population. CMS further states that average premiums for MA plans are lower today than they were in 2010, dropping 6 percent between 2010 and 2015. Download the NASP summary of CMS proposals relevant to specialty pharmacy. Earlier this week the Centers for Medicare & Medicaid Services (CMS) issued four guidance documents detailing how Medicare Parts B and D as well as the Medicaid Drug Rebate Program will treat biosimilar therapies. NASP responded to the CMS 2016 Call Letter with concerns about the impact of narrow network strategies on Medicare Part D beneficiary access to specialty medications in the six protected classes. Specifically, NASP commented that a notice period of at least 60 days should be required when a preferred pharmacy is no longer in the network and that CMS should address the often inaccurate information about in-network specialty pharmacies on its Plan Finder web site. NASP Board members and staff met with CMS staff on January 20 to discuss ways to improve patient access to medications within Medicare’s six protected classes. NASP representatives at the meeting were Board members Duane Barnes, Burt Zweigenhaft, and Mike Agostino, Executive Director Jim Smeeding, and Chief Operating Officer Bob Fulcher.